Only three months after the discovery of Olivier Metzner’s body within the Gulf of Morbihan, tragedy has struck the private island world again, as UK tech guru James Martin is found dead in Bermuda. 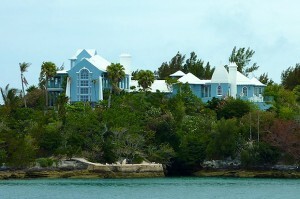 Multimillionaire philanthropist, Dr James Martin, has been found dead close to his private island in Hamilton Harbour, Bermuda. The body of the British-born technology expert was discovered by a kayaker not far from the shores of Agar’s Island, just one day after the 79 year old arrived in the Caribbean. A spokesman confirmed that whilst investigations are still underway to try and establish how Dr. Martin died, the police have ruled out any suspicious circumstances surrounding the death. An autopsy is still pending. The Pulitzer Prize winning author of 1977 computing bible The Wired Society becomes the second island owner in only a short space of time perish on the shores of a private island, after apparent suicide of French advocate Olivier Metzner in Brittany’s Gulf of Morbihan. One of the most respected and feared defence lawyers of his generation, Metzner took his own life whilst on vacation at Île de Boëdic in March this year, much to the shock of the international legal community. It remains to be seen what will become of the two private islands, with question marks already being cast over the future of Île de Boëdic. Listed exclusively via Vladi Private Islands prior to the death of its owner, attempts to sell the island have stalled somewhat since the Metzner’s death came to light. The beautiful Breton island continues to generate attention amongst island-lovers the world over, and whilst parties are still invited to log their interest in the island, patience and understanding is appreciated, given the tragic circumstances.